Artificial Intelligence (AI) is affecting a lot of industries, and the recruitment industry is not an exception. The history of recruitment goes as back as World War II. Since then the process of recruitment has changed considerably, especially in the recent past. In this digital age, recruiters need not go through thousands of resumes. They can use screen candidates efficiently through a tool such as an ATS or an HR chatbot. The same goes for candidate matching, nurturing of candidates and a dozen other things. This ideal process for identifying candidates couldn’t have been possible without the help of Artificial Intelligence & Machine learning. Let’s see in detail how AI is transforming recruitment in 2019. According to Ideal, 52 percent talent acquisition leaders said that the hardest part of the hiring process is screening a large pool of candidates. But the recent technology innovations have helped solve the most significant pain of the recruiter – resume screening, mostly because of the large volume. AI screening software has greatly helped in filtering the resumes according to the job description. It has enabled us to find the right candidates without the need for going through resumes. It has also helped make a lot of data consumable which wasn’t possible earlier. For example, with one click I could filter the resumes based on a specific location, etc. So are these solutions 100% accurate and reliable? No, not yet. Though the results are promising, there’s a small chance of a company losing on a quality candidate (false negative). But there’s no denying that it has helped reduce the hiring time for millions of companies. Time is crucial for any company. As a candidate, you must be already knowing how long a hiring process can be. From shortlisting candidates to screening candidates to interviewing them, recruiting a single candidate can sometimes take up to 2 months. This time varies from company to company. The bigger the company, the longer the hiring process. Let us check which is the most time-consuming tasks when hiring an employee. With tools like Google Hire and tons others in the market you can easily automate these tasks. You can use efficiently screened candidates and ask questions through a chatbot. You would only spend a few minutes setting up the screening process when compared to manual screening. This auto-questioning of potential employees is one of the many ways AI helps minimize these repetitive tasks, enabling companies to make a faster decision, hence reducing the overall hiring time. With so many programming languages coming up, the requirements of the companies are becoming diverse too. Every company looks for different skill sets. The problem is that once you start searching for these candidates online, you’ll be overwhelmed with the number of candidates you receive. It’s hard to find a perfect match. AI is significantly helping solve this problem. Last June, LinkedIn introduced Recommended Matches. These recommended matches are candidate recommendations for your open job posting. Over time you will get better on training your AI, based on your feedback. This has significantly helped in candidate matching on LinkedIn. In February 2019 they were even successful in making the algorithm 20 percent better. This matching is done in two ways. Not only does it recommend candidates — the potentials are shown to the recruiters, and candidates also see the most relevant jobs. 4. Removing bias and promoting diversity. There are still mixed opinions if AI could help in removing bias or not. Amazon recently had to scrape a secret AI recruiting tool because it was biased against women. But since most ideal candidates for Amazon were generated as men, the data fed to the model was not unbiased towards gender equality but the contrary. We are in 2019, but we still see biased outcomes from some companies when they’re recruiting people. According to data, AI has been helpful in removing bias and promoting diversity. But it all depends on how we are training the system. Caitlin from HRTechnologists believes that the key to overcoming bias is to get past our obsession with skills and knowledge and focus on talents, which include things like innovation, adaptability, and communication. Moreover, AI enables recruiters to make faster decisions and not to make a decision one way, instead of another. 5. Taking better data-driven decisions. 1. Developing the overall hiring funnel. You see that the conversion rate of candidates filling an application form has dipped when compared with the previous application. With such a data you can figure out that there’s some problem in the application form or not the whole hiring process. 2. Allocation of a budget. People use all sorts of different channels to attract candidates, be it recruitment platforms, social media ads or job portals. Data can quickly identify which is better channel after analyzing the final hires and their source. Once you understand which channel is performing better, you can easily re-allocate your budget. 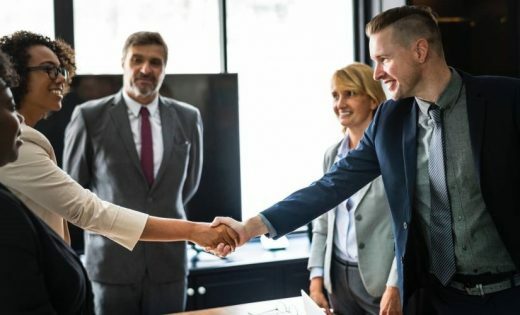 All the above factors lead to one common goal that every company has, which is to hire top talent with the goal of maintaining across all the departments. This statement is true because it’s your companies skills that will keep your firm running. Clearly, AI is playing a pivotal role in improving the recruitment process. While there might be few drawbacks, it has enabled recruiters to take better hiring decisions. I have been blogging and marketing for the past 4 years. Currently helping AirCTO (a Tech recruitment firm) to grow. The post 5 Ways Artificial Intelligence is Transforming Recruitment in 2019 appeared first on ReadWrite.